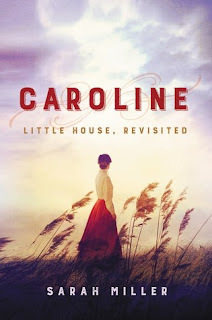 My Review: Caroline is a retelling of Little House on the Prairie told from Ma’s point of view. Caroline lives a comfortable life in Wisconsin. She is a mother of two with another child on the way. However, when her husband asks her to leave her cozy home and begin a new life in the Kansas Indian Territory, Caroline reluctantly agrees. Caroline must leave her friends, family, and home behind and head with her husband and two children to an unfamiliar territory. From the beginning, Caroline is beset with hardships. 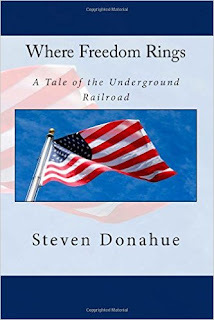 Yet, while she tries to endure the hardships of settling in the Kansas Indian Territory, she also experiences moments of joy and love of her family. As a huge fan of Little House on the Prairie, I was eager to experience the tale again from Caroline’s point of view. After reading this novel, I have come away with a deeper understanding and appreciation for Caroline. While Caroline’s role seems to be of a housewife and a mother figure, she plays a much bigger role. She is often filled with setbacks and hardships, yet this is what makes her stronger. She struggles to make the best of her situation. She is very determined, practical, and hard-working. There were a few times where she complains and feels distant to the reader. However, we sympathize with her character and admire her struggle for survival. Overall, this book is about family, love, loyalty, bravery, and survival. 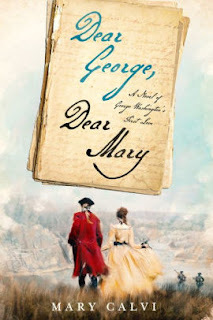 Caroline is a very faithful retelling and in this novel Ma truly shines. All of the other characters are very similar to their counterparts. While it is darker than the original, I found it to be a more realistic portrayal of pioneer life. The book is very well-written, and it is clear that the author did her homework. She made the Kansas Indian Territory come alive. The only thing I did not like about this book was that there were a few scenes that were unnecessary. Still, Caroline is definitely a novel that I would love to reread again! I recommend this book not only for fans of Little House on the Prairie but also for those who love Vengeance of Mothers, Maud’s Line, and Into the Wilderness.